National Prescription Take-Back Day, sponsored by the Drug Enforcement Administration (DEA) will take place in communities across America on September 26th from 10am-2pm. Those who live in Pennsylvania and Delaware will have their event on September 12. As with the DEA's previous nine Take-Back events, sites will be set up throughout communities nationwide so local residents can return their unwanted, unneeded, or expired prescription drugs for safe disposal. Collection sites in every local community can be found by going to www.dea.gov. This site will be continuously updated with new take-back locations, beginning on September 1st. The National Prescription Drug Take-Back addresses a vital public safety and public health issue. Many Americans are not aware that medicines that languish in home cabinets are highly susceptible to diversion, misuse and abuse. Rates of prescription drug abuse in the U.S. are at alarming rates, as are the number of accidental poisonings and overdoses due to these drugs. Studies show that many abused prescription drugs are obtained from family and friends, including from the home medicine cabinet. In addition, many Americans do not know how to properly dispose of their unused medicine, often flushing them down the toilet or throwing them away – both potential safety and health hazards. In the previous nine Take-Back events nationwide from 2010-2014, 4,823,251 pounds, or 2,411 tons of drugs were collected. Did you know that more teens and young adults are abusing prescription drugs than street drugs like cocaine and heroine? The important thing to realize is that you can do your part to prevent prescription drug abuse among your children and their friends by becoming an Ambassador and doing 4 simple things---educating, monitoring, disposal and enforcement. There is a plethora of resources regarding this epidemic online and you can find this information by searching, reading and even subscribing to e-mail lists from organizations such as drugabuse.gov, kidshealth.org and whitehouse.gov. Subscribe to the Informed Families prevention newsletter on the sidebar or read our 11 Tips for Talking to our Kids about Drug Abuse. Paying attention to how many prescription pills you have in your medicine cabinet is essential. You can do this simply by writing in the number in pen on your bottle or using a home medicine inventory card. The key takeaway here is to be actively engaged and conscious of your own prescription drugs so that it does not create an environment of temptation in your household. A great way to keep your prescribed medicine away from prying hands is by locking it up in a locking mechanism such as this pouch. If your prescription has expired or you no longer need the medicine, you should immediately dispose of the unused drugs. You can find convenient and environmentally responsible disposal programs in your community here or ask your city if they have take back program. The DEA also organizes a National Take Back Day twice a year. You may unfortunately come across an individual or situation where prescription drugs are being offered or abused. It is imperative that you provide law enforcement with information about if you find a doctor or an adult that is offering prescription drugs to children without a doctor's approval. 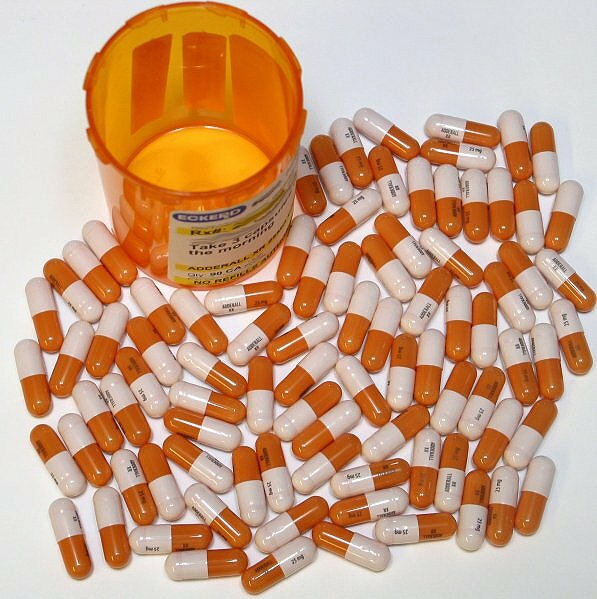 You've already accomplished part of the plan by educating yourself on Prescription Drug abuse but now you have to take action by monitoring your pills, dispose your expired medications and inform the authorities if you find someone reinforcing prescription drug abuse. The easiest way to prevent prescription drug abuse is by taking the Lock Your Meds Pledge today by clicking on the red button below!